In recent years, with the remarkable growth of emerging economies, global energy demand continues to expand, making efficient energy use a matter of shared concern around the world. Under the Paris Agreement, each country, including developing countries, has set goals for reducing greenhouse gas emissions, and as we promote efforts to reduce and eliminate carbon levels, expectations for the role of energy-efficient and renewable-energy technologies and products are rising to unprecedented levels. In addition to moving forward with vigorous efforts to counter global warming in Japan, we are working to popularize outstanding energy-efficient and renewable-energy technologies and products worldwide so as to achieve a necessary balance between global economic growth and global warming countermeasures. These efforts are in line with the Sustainable Development Goals that the United Nations set in 2015. The Alliance is capable of promoting these efforts as a platform for close public- and private-sector cooperation, and we believe our activities are growing ever more significant. 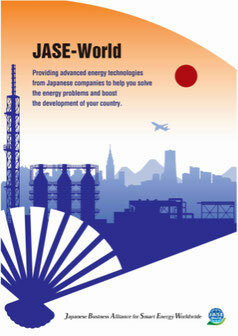 In the future, we will continue to consolidate the resources of the business world, partner and cooperate with the government, and pursue initiatives to build Japan’s smart energy-related business overseas so as to revitalize our nation’s economy while making positive contributions to global issues such as climate change.